A tumor or its metastases cause pain in half the cases. The nature and magnitude of the pain depends on where the change is taking place and how extensive changes in the tissues are. Pain is the first symptom in about a quarter of cancer patients. A metastasis-stage cancer causes pain in 70 percent of the patients. Pains are usually initially felt where the tumor or its metastases are. Active substances are secreted near the cancer cells, and they increase swelling of tissues and pain. Majority of the pain is directly caused by the tumor. 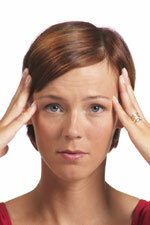 However, pain in cancer patients may be caused by other factors such as migraine or degeneration. The most common reason for cancer pain is a metastasis somewhere in the skeleton. Sometimes irritation of the nerve tissues, increased intracranial pressure, and stretching of the membranes enveloping internal organs may cause pain. The pain caused by a skeletal metastasis is usually a constant, aching, dull pain. If the pain suddenly gets worse, it may be caused by a bone fracture due to the tumor’s weakening effect on bone structure. If nerve structures are pressed, the pain caused is usually a solid, burning or tearing pain and examination shows changes in the functioning of the irritated nerves. The tumor or metastasis may provide pains because of the pressure on organs, nerves, bones or other structures. Cancer may cause lockage of an organ or tube in the body. There may be pains by infection, irritation, or changes in the circulation. Side effects from chemotherapy, radiation therapy, or surgery may also be painful. Long inactivity can cause stiffness and pains, and depression or anxiety may increase its strength. Best treatment for cancer pain is procedures that cause the tumor to disappear or to be reduced in size. More and more tumors can be fully cured by surgery, medical and radiation therapy. In situations where a curative treatment is not possible, the pain can usually be alleviated. Radiation therapy brings a rapid reduction in pain levels. The more sensitive the tumor is to radiation, the higher the pain reduction level. In cases of skeletal metastases, the pain may be reduced in a matter of days. Radioactive substances that accumulate in the tumors have been used in addition to the conventional radiation therapy. They also reduce pain. Pain in rapidly dividing tumors may be controlled, even quickly, with the help of pain reducing medication. Medication can also be used to relieve the pain without its having an impact on tumor growth. It makes sense start with milder medication and continue to stronger medication when necessary. Because pain caused by cancer is ongoing, the medication is dosed from the start over 24 hours. The goal is a pain-free state and pain is not allowed to return until the next dose is administered. This helps to control the pain with less medicine from the beginning, vis the situation, if waited for the pain to become severe. A wide range of pain medication from anti-inflammatories to strong medications in the opiate line is used. Oral administration is usually the easiest. In addition to injections and intravenous administration, it is possible to give medicine continuously via a subcutaneous pump or by administering it directly into the vertebral canal. There may be pain even after successful cancer treatment. It may appear after surgery or radiation therapy. A chest surgery will create residual pain for 40 percent of patients for six months following the surgery. Some of these cases will require pain management. About a quarter of mastectomy patients will experience difficult prolonged pain after the surgery.